The workshops will be facilitated by internationally recognised experts in Lean Project Delivery from the IGLC Community such as Cynthia Tsao, David Umstot, Hal Macomber, Jason Klous, Christine Pasquire, Alan Mossman, Dean Reed, Leonardo Rischmoller, Atul Khanzode, Paz Arroyo and Annett Schoettle. 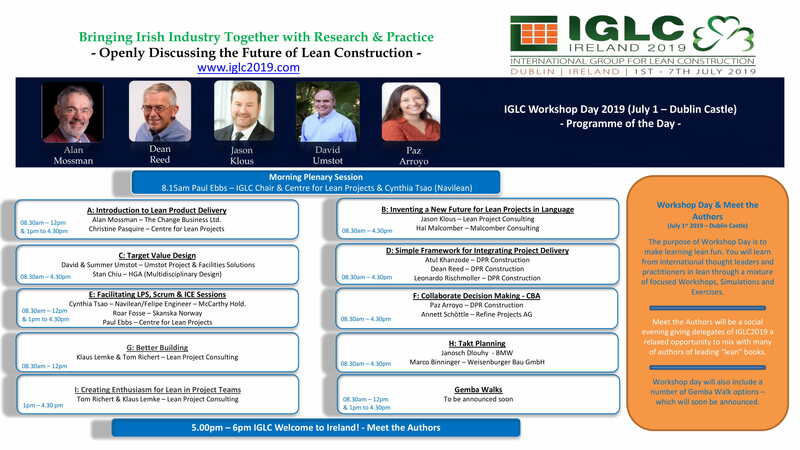 The workshops are aimed at beginner, intermediate and advanced levels for Owner Representatives, Designers, Construction Managers, Consultants/Trainers, Academics and Students. The workshops will use interactive and action based learning through a combination of simulations, exercises, discussions and short presentations. This 3.5 hour hands-on workshop will introduce the purpose and principles of lean thinking and lean construction. This workshop is aimed at practitioners and scholars who are starting out on their lean journey and who have never attended an introduction to lean construction. Based around three different simulations, this workshop will give you an experience of the power of lean thinking and get you thinking about lean principles and how you can apply them in your day-to-day work. 7 key principles that underpin lean thinking. The workshop might also be of interest to experienced lean practitioners who want to know how to use some simple simulations when they introduce lean construction. The simulations used will be ball game, a construction specific version of dot-card and magic stick. Alan originally trained as an architect and then in management and organisation development. After working in local government and higher education in a variety of roles, he has worked as a socio-technical systems consultant since 1988, returning to construction in 2001 to apply his knowledge, understanding and skills in design, collaboration, systems thinking, organisation development, variation, quality and lean. Based in UK, he has coached design and construction teams adopting lean thinking for clients across Europe and in Turkey, Canada, India, South Africa, New Zealand and Australia on a wide range of projects. In addition to projects in the UK, he is currently assisting students, researchers and faculty at Ecole Centrale de Lille in France get to grips with both lean construction and ‘Construction 4.0’, supporting the development of lean construction in Italy and helping a Belgian company assess their implementation of the Last Planner System. He was a founding member of the LCI (US) Education Committee developing Lean, Last Planner, Integrated Project Delivery, Target Value Design and Big Room training packages for use by LCI Communities of Practice and others. Alan has published papers on Lean Construction, Last Planner, Integrated Project Delivery, Target Value Design and Construction Logistics. Managing Director of The Change Business Ltd, a lean design and lean construction consultancy registered in the UK, Alan is active in local politics, a keen gardener, loves to sing and enjoys walking in the hills and valleys around his home in the Cotswolds. Christine Pasquire has a BSc Quantity Surveying, a PhD in Construction Management and is a Fellow of the Royal Institution of Chartered Surveyors. One of the original four directors of LCI UK Ltd, Christine has been a long standing advocate, researcher and teacher of Lean Construction. She is currently Professor of Lean Project Management in the Centre for Lean Projects at Nottingham Trent University, UK. Christine’s route to lean began 20 years ago with research into offsite manufacturing particularly in the Building Services sector and has grown to encompass the practicalities of lean implementation in both project and organisational transformation. 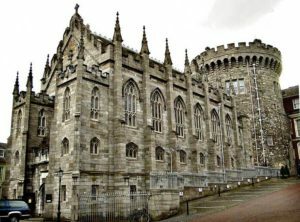 Current research projects include applications of Takt and other forms of lean construction planning; measurement of the impact of Lean on human performance; investigations into waste that is institutionalised within the systems and structures of design and construction and developing pathways for common understanding as a flow. She has published over 110 peer reviewed papers and completed in excess of £2,000,000 of funded research work in the field of construction management. In this workshop participants will learn how to invent new futures and possibilities for lean projects in a hands-on and interactive exploration of language and moods. The workshop will include a series of practical exercises you can use with your teams to build trust and a new future together. Language Action is one of the foundational building blocks of a lean project. Reliable promising and a network of commitments are just two of the concepts that are part of a foundation for any lean project or organization. In this workshop we will explore the deeper skills around Language Action and the transformational impact it has on individuals, projects and organizations. Participants will also learn the importance of moods and how they impact individual and team performance in the project environment. As part of the workshop you will learn how to recognize moods and cultivate new moods in your teams that lead to better project outcomes. At the end of the workshop participants will have learned new skills they can use in their teams. Participants in this workshop will learn the fundamental speech acts that make up Conversations for Action. Participants will learn the power of assessments and how they can open up new possibilities for inventing new practices on projects. Participants will learn how having more powerful conversations can build a new way of learning inside of teams. Participants will learn new skills to become navigators in the complex project environment. Participants will learn how moods shape and influence our possibilities for a new future and will develop new skills on how to shift moods on projects. Hal did his first production system project in the summer of 1974 in the butcher department of a supermarket. He followed that with a two-year stint in the operations research department of the Bank of Boston in 1976 – 1978. Hal was selected to study quality and just-in-time production in Japan in the mid 1980’s. That began the formal introduction to Lean which spanned numerous industries and professions. Along the way, Hal was introduced to the work of Fernando Flores — first the study of the language-action perspective, then ontological redesign. Those bodies of knowledge coupled to Lean allowed him and his collaborators to make very large scale organizational interventions. Hal and his wife Rita live in the White Mountains of New Hampshire among many good friends. Jason is a Principal with LeanProject. He grew up in the construction industry helping his dad on job sites. His experience has evolved with all other construction-site positions in between. His passion is work-site safety and continuous improvement and enjoys teaching and training others. A Construction Management graduate of the University of Minnesota, Jason started his career as an apprentice carpenter working for a general contractor. After working as a journeymen carpenter and foremen he became a project superintendent. His experience includes large commercial office complexes for Fortune 500 companies, higher education projects, data centers, health care facilities, residential multi-use high-rises, stadiums, industrial, and facilities management. As a LEED Accredited Professional he assisted clients in obtaining LEED certifications. Jason was exposed to lean concepts while earning an MBA at the University of Wisconsin-River Falls and started to apply those concepts to construction. He started to apply lean practices on his projects and working to change the traditional management culture. “Engaging the workers who were actually doing the value-added work on the projects lead to many improvements on how the work was done.” Jason was one of the founding members of the Upper Midwest Lean Construction Institute Community of Practice. 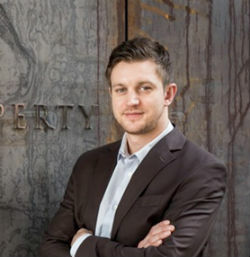 Jason is also involved on the academic side of the construction industry. He has taught classes at the Carpenters Training Center, the Association of General Contractors, and most recently as Adjunct Professor in the Construction Management department at Dunwoody College in Minneapolis, MN where he teaches a class on Lean Construction in the undergraduate program. Jason’s experience as a carpenter foreman and as a project superintendent makes him a valuable resource when working with project teams. He has experience using the Last Planner System as a superintendent and leading continuous improvement events with trades’ people in the field. Jason is able to engage with the whole project team to build a culture that promotes continuous improvement and a learning culture. In his free time, Jason enjoys playing euchre, making maple syrup, and spending time in the outdoors. He lives in Wisconsin on a lake in the woods with his wife Amy and their four Springers. In this interactive hands-on workshop, participants will use a mock progressive design-build project to learn the specific steps in successfully implementing target value design. Target Value Design is a disciplined management practice that is used throughout project definition, design, detailing, construction, and commissioning to assure that the facilities meet the operational needs and values of the users, is delivered within the allowable budget, and promotes innovation throughout the process to increase value and eliminate waste. At the end of the workshop, participants will understand the parameters and have methods for structuring Target Value Design within their projects including “Project First” Thinking. Rather than optimizing the parts of the project, the participants must optimize the whole project. Our approach drives people to “Project First Thinking” tied to the defined values and True North for the project which enables project leaders to think in terms of the best “interests” of the project. Participants in this workshop will learn how to collaborate with design, trade and construction partners to enhance the value proposition on a project within a fixed budgetary constraint. Participants in this workshop will learn how to interactively coordinate real time pricing with design to meet project requirements within project constraints. Participants will recognize and understand the importance of early specialty trade involvement. They will understand the importance of continual cost estimating of projects to enable designers to more effectively make informed decisions communicate value adds to the end users. Participants will understand the parameters and methods for structuring TVD within their projects. David is an internationally recognised authority in Lean project delivery, program management, facilities management and sustainability. He has seen the industry from 360 degrees as a designer, builder, design-builder, facilities manager, executive, owner and coach and brings a unique perspective on how Lean can transform projects and organisations. He is a principal of Umstot Project and Facilities Solutions and an associate faculty member at San Diego State University. He is the lead author of Lean Project Delivery | Building Championship Project Teams. 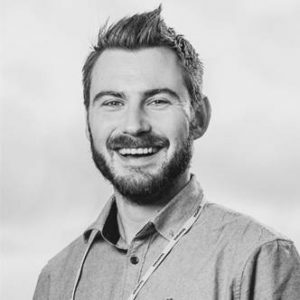 David has worked with more than 70 organisations coaching owners, developers, builders, designers, and speciality trade contractors in Lean thinking, culture change, and continuous improvement as part of the company’s core offerings. David has been involved in projects totalling more than $6.5B in construction value delivered using Lean in the past 5 years. 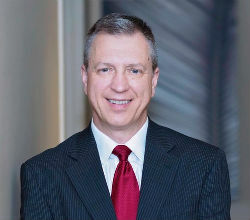 Stan is a principal with more than 25 years’ of experience in healthcare and higher education. He is a leader in Lean Design and Integrated Project Delivery (IPD), and has helped develop such core Lean IPD tools as Target Value Design and Set Based Design. His work has received regional and national design awards along with setting new benchmarks for prefabricated assemblies. 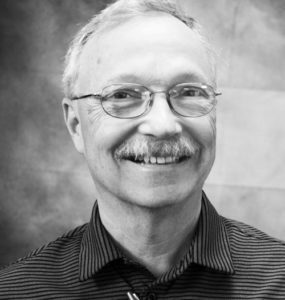 Stan has lectured at national conferences and authored numerous articles on architecture, healthcare delivery, and Lean Design. His volunteer work includes serving on professional, educational and healthcare boards. He received a Master of Architecture from the Graduate School of Design at Harvard University, and a Bachelor of Arts from Wesleyan University. 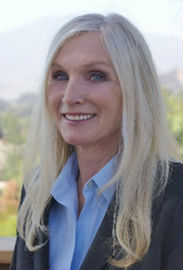 Summer is Co-Founder and a Principal of Umstot Project and Facilities Solutions, LLC with more than 30 years of experience. She has worked as a Lean coach and partnering facilitator with more than 40 teams in a wide range of industries including healthcare, pharmaceutical, higher education, biotechnology, research laboratories, refineries, data centres, highways, civic buildings, aviation and commercial construction. These projects total billions of dollars in constructed value. Her training and coaching experience includes the Last Planner® System, Big Room, Values Alignment, 5S, Target Value Design, Value Stream Mapping, Process Mapping, A3 Problem Solving, Root Cause Analysis and Scrum. The four criteria for a high performing building and how these define value. The four integrations required to deliver value. Why agreeing on rules of engagement and risk sharing are the foundation for real, rather than aspirational, integration. How teams can achieve the four integrations to support a Lean strategy through Virtual Design & Construction. This is nothing more, nor less, than using BIM collaboratively to manage design and production within a management framework of performance measurement to create rapid feedback for continuous learning and improvement. Atul Khanzode leads DPR Construction’s Technology and Innovation Group. In this role Atul is responsible for the Virtual Design and Construction (VDC), Operations and Preconstruction Technologies, strategic technology initiatives, Innovation, Research & Development and consulting. Atul collaborates extensively with academia and leading research groups around the world exploring issues related to Integration, Lean Construction and VDC to move the industry forward. 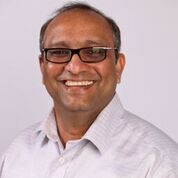 Atul is a co-author of Integrating Project Delivery. Atul Khanzode is also a Board Member at WND Ventures where he is responsible for managing the strategic investments and providing mentorship and operational guidance to leadership teams of the portfolio companies. Atul has a Ph.D. in Construction Engineering and Management, focused on Integrated Practice, VDC and Lean Construction, from Stanford University and has a Master’s degree in Civil and Environmental Engineering from Duke University. Dean Reed has seen a lot in his 45 years in construction. Having grown up in a construction family, Dean joined the U.S. Peace Corps as a Rural Construction Advisor in West Africa after graduating with a Bachelor’s degree in Psychology from the University of California, Santa Cruz. Upon returning home, he went to work with his tools as a Journeyman Carpenter, Welder, and Millwright, before discovering how he could use a computer to help his brother plan and manage large construction projects. His perspective changed dramatically in 1996 when he discovered Lean Construction and Virtual Design & Construction (VDC) together. He brought that new thinking to DPR Construction when he began working there as a Project Planner in 1997. Since that time, Dean has worked tirelessly to help DPR people, owners, designers and trade partners understand and leverage their creative talents to deliver significantly better buildings. He is widely respected within the Lean Construction community in the U.S. and internationally. Dean often speaks at industry events and lectures regularly at Stanford University. He is co-author of Integrating Project Delivery. 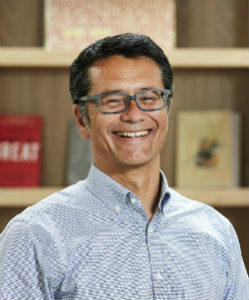 Prior to his current position as a business analyst at DPR Construction, Leonardo’s career spans 24 years of experience in industry and academia on several continents. 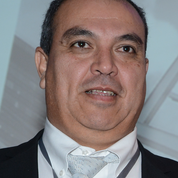 He was a BIM pioneer on mining projects in Latin America in the late 1990s. 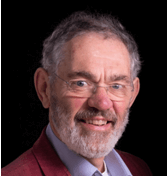 He taught BIM-based construction management methods in several universities in Latin America and at Stanford, where he is also a frequent industry research collaborator. He led the application of BIM, VDC, and IPD practices on a wide range of projects, from industrial to multi-family residential to infrastructure, commercial, and health care projects in the US, Latin America, and Africa. Leonardo is passionate about bringing technologies and workflows into practice that allow engineering and construction managers, engineers and workers to apply their knowledge when it matters most. He holds a Civil Engineer degree from Universidad Ricardo Palma in Peru, M.Sc., and Ph.D. degrees from Pontificia Universidad Catolica de Chile, and served as a Visiting Professor at Stanford University in 2011-2012. Tired of un-engaging, inefficient meetings with unclear goals? Curious to learn how to integrate on-site crew into the design process? Interested in aligning design planning with their design sessions? Want to learn how experienced lean coaches facilitate different lean workshops and sessions? If the answer is yes to any of these questions join Paul Ebbs, Cynthia Tsao, Felipe Engineer and Roar Fosse at this workshop. They will share some of their lean training and facilitation methods on key concepts from the Last Planner® System, Scrum, Integrated Concurrent Engineering (ICE), BIM and Big Room. Participants will learn how these lean tools can be combined and used to improve project meeting outcomes. This hands-on interactive workshop is primarily designed for intermediate to advanced lean practitioners who are facilitators of workshops and project production sessions. Participants will learn through a mixture of short presentations, simulations, practical exercise, round table discussions and breakout sessions. The participants should be ready to take the ideas learned in the workshop and implement them with their project teams. The participants will get practical takeaways and tips to use in their own workshops and sessions including guidance on how to plan, facilitate and record efficient LPS, Scrum and ICE sessions. The participants will receive templates and tools (such as Skanska’s ICE agenda, decision log, LPS plan check scorecard, facilitator handbook) and other tips and key manuals and facilitator checklists related to the LPS, Scrum and integrating digital technology into Big Room sessions. Since 1997, Cynthia collaborates with fellow educators and researchers in academia and practice to help the Owner-Architect-Engineer-Contractor (OAEC) industry understand and leverage Lean Project Delivery to dramatically improve project outcomes and thus, better serve society. As a lean coach, she guides companies and project teams in Project Team Alignment, Project Decision Making, Design Management, Knowledge Management, and Collaborating with Trade Partners. With an eye for making explicit the handoffs of work between project participants, Cynthia uses her expertise in product-process design integration to help teams transform complex design problems into ones that are easier to manage and construct. She also helps companies and project teams sustain their lean journeys by figuring out how to efficiently use and enhance team member capabilities to foster a culture of continuous learning and improvement. Felipe Engineer-Manriquez – Corporate Lean Manager – McCarthy Holdings, Inc.
International Lean speaker, a serial intrapreneur, MBA graduate, McCarthy Building Companies’ first Corporate Lean Manager responsible for overseeing a comprehensive Lean program for the family of McCarthy Building Companies. Felipe Engineer-Manriquez is a committed Lean practitioner with over eight years of direct experience implementing Lean on a variety of construction projects. Engineer-Manriquez is an active contributing member of the Lean Construction Institute and is an approved Last Planner® System, Target Value Delivery, and Mindset of an Effective Big Room instructor/facilitator. 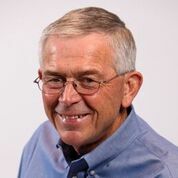 A Jeff Sutherland Certified ScrumMaster® with years of weekly sprints moved to “Done” and user of Scrum to teach Scrum to fellow construction professionals via guided interactive learning – over 500 industry partners. A Project Management Professional (PMP®) continuously updating project management knowledge, experience, and the skills to bring projects to successful completion. A LEED AP BD+C United States Green Building Council professional, Engineer-Manriquez earned an MBA from California State University at San Bernardino and a bachelor of science in electrical engineering from the University of Illinois at Chicago. Paul has 23 years’ industry experience in a range of healthcare, educational, residential, commercial, infrastructure and decommissioning projects. Roles included Mechanical Technician, General Operative, Finishing Foreman, Site/Project Manager, Low Energy Consultant. He is an advocate of innovation through research and inventing and implementing Lean Project Delivery methods. He is a Research Fellow for Professor Christine Pasquire at the Centre for Lean Projects in Nottingham Trent University (NTU), UK. 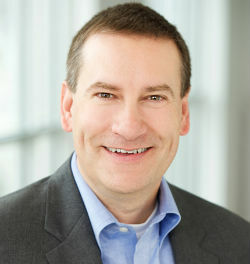 Paul’s research interests include the integration of production risk with the Last Planner® System (LPS), collaborative risk management, the facilitator’s role in the LPS, the role of language and moods in teams, and how the invisible soft skills required to sustain lean implementations are developed and coached. The output from his applied research is being used by industry in Ireland and the UK and is regularly showcased at annual events at NTU and LCI UK’s Annual Training Day. He co-founded the Construction Innovation Lab in the Dublin Institute of Technology (DIT) in 2013 and Lean Construction Ireland (LCi) in 2014. Since 2015 he worked as a Lean Coach and trainer with Umstot Project and Facilities Solutions with organisations in Ireland and the US. 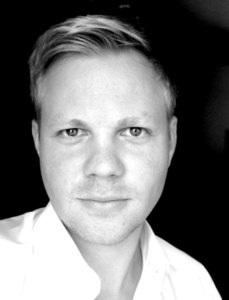 Paul is an author of blogs, industry articles and IGLC papers and is a presenter of webinars’ for LCi. 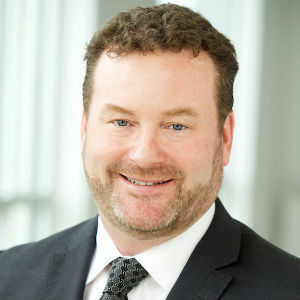 He is the conference chair of the IGLC’s 27th Annual Conference in Dublin, Ireland, July 2019 and co-chair of Lean in the Public Sector (LIPS) Dublin, Ireland, December 2019. Paul holds a 1st Class Honours BSc in Construction Management from the DIT, Ireland. He received several awards from industry and academia since 2008 including the Ivan Webb Gold Medal Award in 2012 for overall top marks in his final year. Roar is passionate about supporting project teams with modern ways of working by aligning lean process thinking with BIM-related technology advancements. He completed his master’s degree on applying lean principles to improve on-site construction work, but started his Skanska career as a BIM coordinator. After a few assignments of lean-related efforts, he was able to combine the two as part of a strategic group developing a new framework for modern collaborative project practices, henceforth known as Virtual Design and Construction (VDC). In addition to advancing practices in Skanska Norway, Roar is also active on arenas across the industry through being a board member of LCNO (Norway’s equivalent of LCI) and DKT (one of Norway’s biggest conferences on digitalization in construction), as well as being a frequent guest speaker and master thesis advisor at the Norwegian University of Science and Technology. Choosing By Advantages (CBA) is a powerful system to make collaborative decisions for design and construction that aligns with lean thinking. Projects teams have to make many decisions; waiting for the owner or architect to make them in isolation is not a wise strategy. Teams that systematically use CBA in a collaborative fashion significantly decrease negative design iterations, save time and money for the owner, and reduce team frustration. CBA helps teams align on what is relevant, understand why decisions were made on a project, and also find innovative design and construction solutions. This workshop will provide the basis for CBA in AECFM projects. Through exercises we will discuss best practices to manage the decision-making process in design. Understand the importance of decision-making methods. Learn the basics of CBA. Understand the difference between CBA and other decision-making methods. Explore the connection between Target Value Desgin/Delivery, Set-Based Design, A3 problem solving and CBA. Create a transparent rationale for group decisions. Annett Schöttle is a passionate researcher in the area of collaboration in the public construction sector, specialized in the topics incentive systems, tendering, decisions-making, inclusiveness, and Lean construction with several published papers. She is in the end phase of her PhD at Karlsruhe Institute of Technology (KIT) and senior consultant at Refine Projects AG, helping project teams to understand and implement Lean as well as moderating weekly Last Planner meetings, pull planning sessions, and training workshops in the design and construction phase. She is also trainer for the decision-making method Choosing by Advantages; developed concepts for organizations to implement and train CBA worldwide. 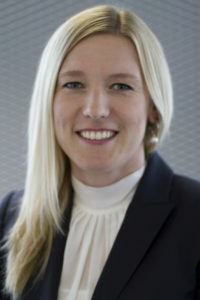 Moreover, Annett is one of the founders and co-director of the non-profit organization CollabDecisions which is a platform to share knowledge and experience as well as to drive research regarding collaborative decision-making in the construction industry and to inspire teams to develop an effective and inclusive decision-making process. Paz Arroyo holds a PhD in civil and environmental engineering from University of California, Berkeley. She has expertise on both teaching and implementing the Choosing By Advantages (CBA) decision-making system internationally for design and construction decisions involving diverse AEC stakeholders. Dr. Arroyo has taught Lean construction, and has delivered several workshops internationally about CBA. She has consulted large construction projects while working at LeanProject Consulting. She has published papers at several International Group for Lean Construction (IGLC) conferences, and at peer reviewed journals on CBA. 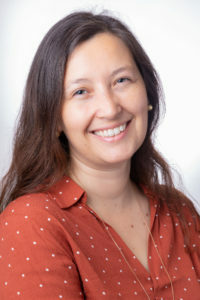 Currently, Dr. Arroyo lives in California, she is a Quality Leader at DPR Construction and she is an adjunct professor in the school of engineering at Catholic University of Chile. Dr. Arroyo is also co founder of CollabDecisions a platform to share knowledge on how to make collaborative decisions. 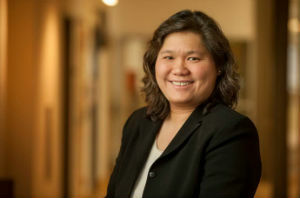 Her research interests are collaboration, decision-making, quality, lean, and sustainability in construction projects. Lean Thinking has proven effective in many industries including design and construction. Yet, many leaders and organisations struggle to achieve the full promise of lean and integrate new thinking and behaviours into their project-based work. We know that project work has unique challenges and opportunities when compared to steady-state lean operations such as manufacturing. Project-driven organisations struggle with the temporary nature of their teams, the unique “one-off” nature of their projects, and their inability to effectively lead a group with competing objectives, loyalties and motivations. Why lean practices struggle to take root in design and construction. How project-driven organisations have different needs than steady-state operations. Six core practices for making lean effective in this environment. How adopting new practices can shift your personal thinking and organisations culture. Klaus Lemke is a thought leader in the building industry. His consulting company is the premier partner for those who want to advance their organizations through continuous improvement and respect for people. Klaus started his career as a structural engineer and EPC project manager in the petroleum industry, where he first learned about Deming’s Total Quality Management, partnering and continuous improvement. Switching to general contracting in 1996, Klaus was disappointed with the disconnected, siloed nature of the AEC industry and began looking for a better way. 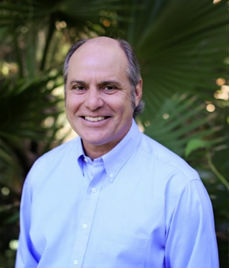 Klaus connected with Greg Howell in 2005 and began applying lean techniques in his own company. After years of studying lean thinking and practicing lean tactics, Klaus joined LeanProject as Managing Principal. He and his partners have helped countless teams adopt the new behaviors and thinking required to dramatically shorten schedules, reduce cost, increase safety and improve the experience of project work. Using a humble coaching style while maintaining high expectations for his students, Klaus goes beyond the mechanical, process-oriented side of lean and leverages the human nature behind successful teams and cultural transformation. His ability to connect with people at all levels keeps him in high demand as a speaker, trainer, coach and change agent for his clients. Tom coaches lean transformations at the project team and enterprise levels, primarily for owners, architects, contractors, and suppliers in the building design and construction industry. His approach employs a combination of team-based training with hands-on simulations followed by on-the-job observations and coaching, often on a one-on-one basis. His current focus is on helping leadership and project teams develop lean practices that align with their shared identities and core purposes. This alignment is fundamental to cultivating the mood of ambition necessary to maintain the rigor lean practices require. Tom began his work with lean principles in 2000 while working at the Linbeck Group, a founding member of the Lean Construction Institute. He was responsible for leading the implementation of lean practices on two New England projects in 2001 and co-designed and delivered companywide lean training workshops. Previously he was the senior estimator for wastewater and water distribution public works program. His undergraduate degree in architecture is from Washington University. 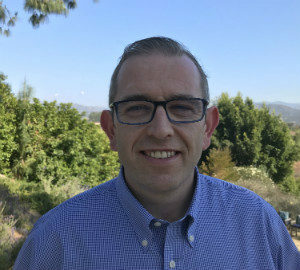 He is the co-author of a paper published by the American Association of Civil Engineers on lean in transportation and has lectured on lean construction at the University of California, Berkeley, and the Wentworth Institute of Technology in Boston. He is a member of the Lean Construction Institute (LCI), as has presented work at past LCI annual conferences. He has facilitated workshops at conferences for Lean Frontiers, the Lean Enterprise Institute, and the Lean Construction Institute; and is a contributor to the Lean Enterprise Institute Lean Post. Takt Planning is increasingly being used on lean construction projects to improve the predictability of work. It is often used in combination with other lean methods. Takt is not a tool to push and control workers. It is a three dimensional technique that supports highly efficient coordination through effective collaboration. Takt is the beat of construction (like in music or dance) that coordinates and triggers action. To date, the workshop facilitators have completed more than 200 construction projects using Takt Planning for BMW and Weisenburger Bau (a German Main Contracting firm). The primary aim of this hands-on interactive workshop is to demonstrate how Takt Planning works on a sample simulated project. The workshop is suitable for project managers, planners, site managers, trade foremen, suppliers, equipment operators or others who have activities impacting construction schedules. Participants will learn through multi-media presentations, multiple rounds of a Takt Planning simulation developed and used by the trainers, and round table discussions relating the simulation to practice. Since 2013 Janosch Dlouhy is charge of the implementation of Lean Construction, Lean Design and Lean Equipment in the Construction Department of the BMW Group. While working on his doctoral thesis at the Karlsruher Institut für Technologie (KIT) with the topic Taktplanning and Taktcontrol he was Supervisor of 36 Bachelor and Masterthesis and Mentor of the Recherarch Team „Team Lean“. His doctoral father is Prof. Sehrvin Haghsheno. In the German Lean Construction Institute (GLCI) he is responsible for the group based in Munich. His master-thesis set foundations in Taktplanning and Taktcontrol and was honoured with the AGI Price in Aachen. He is one of four founders of the software start-up TaktPlan. After obtaining his degree in Civil Engineering at the Karlsruhe Institute of Technology Marco Binninger got to know closer the lean philosophy at Porsche Consulting. In 2012 he started implementing the lean idea at the general construction company weisenburger bau in Germany. In 2015-2016 Marco Binninger worked abroad in Estonia as Head of Lean Enterprise in SWISS PROPERTY AS. Currently Marco Binninger works again in the company weisenburger bau in Germany where he’s the leader of the continuous improvement team and he is working on the idea of a cross-project and continuous construction process. Marco Binninger is also finishing his PhD in the field of Takt Planning and Takt Control at at the Karlsruhe Institute of Technology. Since 2015 he is a member of the German Lean Construction Institute (GLCI) and responsible for the Regional Practice Group Karlsruhe. This workshop focuses on how enthusiasm for lean can be methodically generated within project teams working in the building design and construction industry. For many lean leaders and coaches a primary concern is obtaining the full engagement of everyone on a project team in lean practices. Despite best efforts at directing people toward lean behaviours universal lean buy-in is hard to achieve. That is because the traditional way of implementing lean practices fails to tap the holistic aspects of lean as it was developed at Toyota Motor Corporation. Participants will be experiencing the LEGO® SERIOUS PLAY® methodology for the purpose of provoking a deeper understanding of their personal core identity, and for renewing the connection between that identity and their purpose in the different spheres of their life. The methodology has been developed and employed during the past two decades by high performing enterprises across the world, and the presenter is a Certified LEGO® SERIOUS PLAY® Facilitator. An appreciation of how the history of the Toyoda family laid the necessary foundation for the Toyota Production System. An introduction to the Transformation Legacy model, based on four dimensions work - Cognition, Connection, Challenge and Commitment – and how that model can be used to promote enthusiasm for personal and professional growth for members of lean project teams. A better understanding of their own personal core identity and how teams can form a shared core identity connected to a meaningful purpose. With the aid of a workbook, understand how to employ brief daily and weekly practices for building and sustaining enthusiasm for life, work and play. Who should attend this session: Last planners, project managers, and executives working within any phase of a building project seeking a methodology for fueling daily enthusiasm for lean practices for themselves and the people they support. It is an intermediate to advanced workshop that requires full engagement and interaction with the other participants. Are you curious to learn how Mace are using the Last Planner® System to manage the delivery of multiple stages of a large data centre project in Ireland? If so, join Kevin McHugh, Associate Director at Mace Ireland for a Gemba Walk at their Irish flagship project to see their production planning & control centre in action. You will learn about the significance of lean leadership from their supply chain partners that has enabled a lean culture to support collaboration, coordination and cooperation. You will also get to see how the Last Planner® System has been used as the prompt to continuously take action from learning to improve the reliability of workflow.